Wyden, Paul, Amash and Lofgren have led bipartisan opposition to unconstitutional mass surveillance of Americans, repeatedly partnering on initiatives to defend Americans’ liberty from overreaching government interference. Wyden and Paul requested an inspector general investigation of the NSA phone records program after the agency revealed last year it had collected millions of unauthorized records. Sandra Fulton, Government Relations Director, Free Press Action: “Free Press Action thanks Senator Wyden for introducing this important bill to officially end the Call Detail Records provision embedded in Section 215 of the Patriot Act. Even after the passage of the USA Freedom Act in 2015, supposedly to narrow this dangerously overbroad program, the NSA continued to collect metadata from hundreds of millions of phone calls made by people in America. “This program represents an egregious violation of our rights and it must end. Even if the NSA has reportedly stopped using this dragnet approach now, we need the certainty that this bill provides against it restarting on the basis of Section 215 or some other government theory. “Ending this program, however, should be just a first step in legislative efforts to protect our civil liberties. As we move toward the sunset of Section 215 at the end of this year, lawmakers who care about curbing mass surveillance must demand even more robust reforms to protect our privacy. These spying powers are particularly concerning in the hands of an administration that has so aggressively targeted protesters and communities of color. 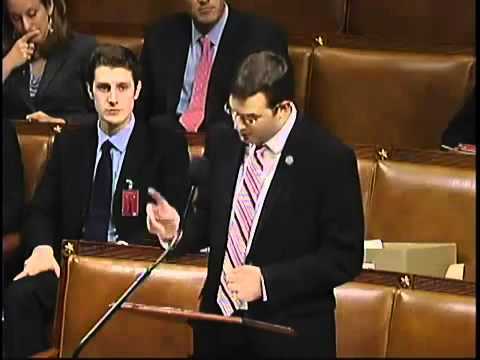 WASHINGTON, D.C. – Rep. Justin Amash (R-Mich.) today introduced H.R. 1910 to end the Export-Import Bank. He was joined by Reps. Ken Buck (R-Colo.), Scott DesJarlais (R-Tenn.), Jim Jordan (R-Ohio), Thomas Massie (R-Ky.), and Tom McClintock (R-Calif.) as original cosponsors. H.R. 1910, the Export-Import Bank Termination Act of 2019, shuts down the crony bank, which subsidizes loans for a few politically connected corporations, such as aircraft giant Boeing, at the expense of American businesses and taxpayers. H.R. 1910 phases out the Export-Import Bank over three years, eliminating billions of dollars in corporate welfare and ending the bank’s distortion of the private trade finance market. The full text of H.R. 1910 is attached. GRAND RAPIDS, Mich. – Rep. Justin Amash (R-Mich.) announced town hall meetings in Grand Rapids and Pennfield Charter Township. 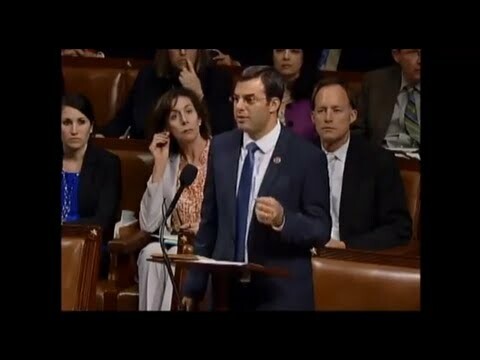 WASHINGTON, D.C. – Rep. Justin Amash (R-Mich.) today introduced the Ballot Fairness Act to prohibit unequal ballot access rules and straight-ticket voting in congressional elections. Many states maintain rules for congressional elections that create arbitrary, systemic advantages for candidates nominated by major parties. Two of the most common are unequal ballot access rules and straight-ticket voting. Unequal ballot access rules can give automatic ballot access to candidates nominated by a major party while forcing independent and third-party candidates to meet various burdensome requirements. Straight-ticket voting advantages party-affiliated candidates by providing the ability to vote for a political party’s entire slate of candidates by making a single selection at the top of the ballot. These kinds of party advantages can effectively block independent and third-party candidates from office, limiting voters’ power in the name of entrenching the dominant parties. Using Congress’s explicit constitutional authority to set rules for congressional elections, the Ballot Fairness Act equalizes ballot access rules by requiring states to impose the same requirements on all congressional candidates seeking to appear on a ballot, regardless of party nomination or affiliation, and eliminates straight-ticket voting for congressional elections. Full text of the bill is attached. WASHINGTON, D.C. – Rep. Justin Amash (R-Mich.) today introduced the Eminent Domain Just Compensation Act (EDJCA) to ensure private property owners are fairly compensated if the federal government takes their land for border security or enforcement activities. The Fifth Amendment to the Constitution permits the federal government to take private property for public use—provided the property owner receives “just compensation.” But in some cases, the Department of Homeland Security (DHS) and other government agencies are using “quick take” condemnations to take possession of private property before just compensation has been determined. If the preliminary payment the government makes when it takes the property is not fair, the property owner is left fighting for full compensation while dealing with the immediate practical and financial consequences of losing their property without adequate payment. EDJCA ensures private property owners are justly compensated for takings by DHS by requiring that court proceedings settling compensation be completed prior to the government’s taking possession of the property. GRAND RAPIDS, Mich. – Rep. Justin Amash (R-Mich.) recognized the 2018 service academy appointees and student Congressional Medal of Merit recipients from Michigan’s Third District at the Gerald R. Ford Presidential Museum on Saturday, May 5. In addition to the seven service academy appointees recognized, Amash honored 34 students with the Congressional Medal of Merit. The Congressional Medal of Merit recognizes high school seniors who have demonstrated exemplary citizenship and academic excellence. Recipients were nominated by their principals or guidance counselors. GRAND RAPIDS, Mich. – Rep. Justin Amash (R-Mich.) announced the winners of ArtFest 2018, the Congressional Art Competition for Michigan’s Third District, at an awards ceremony at the Gerald R. Ford Presidential Museum on Saturday, May 5. Nick Ensing’s piece, Classy, was named the grand prize winner and will be on display in the U.S. Capitol for one year alongside winners from other congressional districts. Harmony by Elijah Beasley (Kent Career Tech Center) and Point Cabrillo by Hannah Van Wert (Kent City High School) were the Representative’s Choice winners and will be displayed for one year in Amash’s congressional offices. Ensing, a student at Northview High School, will visit Washington, DC, this June for a reception honoring the winners. Pieces from Mallory Jarrett (Rockford High School), Sophia Layton (East Grand Rapids High School), Claire Shaffer (Northview High School), Keauna Hayes (Thornapple Kellogg High School), Willow Barnes (Kent Career Tech Center), Nisa Brooks (East Kentwood High School), and Ivan Reynolds (Lowell High School) were named honorable mentions. The Grand Rapids Art Museum, Kendall College of Art and Design of Ferris State University, Kent Intermediate School District, Portland Community Arts Council, Urban Institute for Contemporary Arts, ArtPrize, and the Kellogg Community College Art Department were sponsors and participated in the judging committee. The Congressional Institute sponsors the Congressional Art Competition in cooperation with the U.S. House of Representatives. The annual competition is open to high school students in participating congressional districts. More than 650,000 students have participated in the competition since it began in 1982. A copy of the grand prize winning piece is attached to this release. 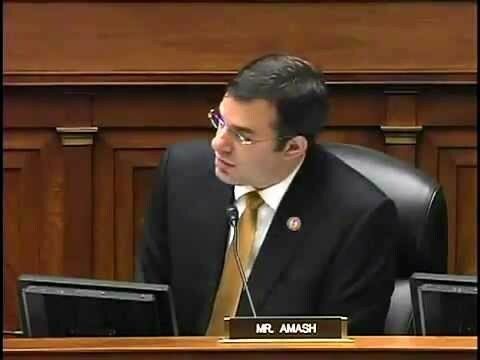 Rep. Justin Amash - Why are we spending tax dollars on FECA beneficiaries well past retirement age? 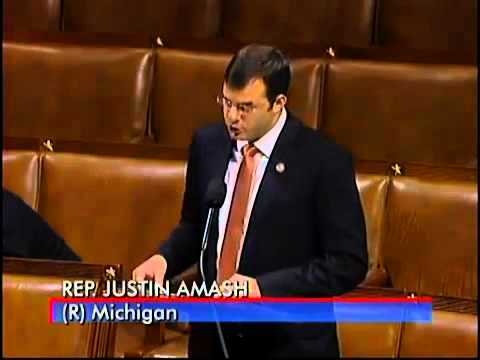 Representative Justin Amash (pronounced uh-MOSH) represents Michigan’s Third District in the 113th United States Congress. He was elected to his first term on November 2, 2010. Justin has never missed a vote in Congress or in the Michigan Legislature out of more than 3,000 roll call votes. He is leading the incorporation of Facebook and other social media into his work as an elected official by posting an explanation of every vote online, and he has set new standards for transparency and accountability. As an ardent defender of Americans’ civil liberties, Justin has been a leading critic of theunconstitutional suspicionless mass collection of all Americans’ phone records, the indefinite detention provisions in the National Defense Authorization Act (NDAA), and the Cyber Intelligence Sharing and Protection Act (CISPA). Justin is a member of the Joint Economic Committee and Committee on Oversight and Government Reform (OGR). He serves on the OGR subcommittees on National Security andGovernment Operations. Justin chairs the House Liberty Caucus.